A recent report, “Assessing ExxonMobil’s climate change communications (1977–2014),” by Geoffrey Supran and Naomi Oreskes, documents the efforts of ExxonMobil (“Exxon”) to undermine climate change policies. The report follows other investigations and legal actions in holding Exxon accountable for its deceptive practices. In total, these reports represent a valuable example of how environmental protection depends on more than legislation and regulation, but also investigations by journalists and environmental groups, as well as litigation or enforcement by governmental and private parties. Oreskes is well known for her work, Merchants of Doubt (with Erik Conway), in documenting the tobacco industry’s political and economic agenda. Their work exposed the heavily funded and aggressive public relations and political campaign by the tobacco industry to undermine the science of and governmental efforts for regulating cigarette smoking. The work by Oreskes and many others has been largely successful, although the tobacco companies continue to fight regulation of smoking and to market their products in developing countries. Efforts to expose Exxon have shown how it, and other fossil fuel companies, consciously have followed the tobacco companies in their tactics, often using some of the same consultants. The main message for both tobacco and fossil fuel interests has been: the science is wrong, or at least uncertain, and regulatory efforts are unnecessary, or at least premature. The earlier analyses of Exxon’s campaign include Greenpeace’s documentation of ExxonMobil’s millions of dollars of contributions to advocacy groups opposed to climate change policies (2005). Also important has been an article in Mother Jones by Chris Mooney on Exxon’s manipulation of the public through a network of nonprofits, news media, columnists, and activists, all serving the needs of fossil fuel interests (2005). Investigative reports by inside climate news and the Los Angeles Times, in 2015, revealed how Exxon’s own research in the 1970s and 1980s confirmed the problematic role of fossil fuels in global warming that was clearly unfolding, and how Exxon then deliberately chose, in the 1980s, to ignore its own scientific findings and instead to fund and aggressively support efforts to deny the realities of climate change. Such investigative reporting helped to fuel and support litigation against Exxon by governmental agencies and private citizens. The New York State Attorney General, Eric Schneiderman, and other Attorneys General, opened an investigation alleging that Exxon suppressed its scientific findings about the impact from fossil fuels on climate change, which deceived investors and constituted a violation of New York securities fraud laws. While the investigations by inside climate news and Los Angeles Times relied on publically available documents they unearthed, the Attorneys General have subpoena powers to require Exxon to produce years of Exxon’s internal files related to climate change. With such power it is likely that we will learn more about the internal deliberations and decision-making on why and when Exxon chose to ignore its own scientific evidence and instead embark on a campaign to undermine climate change science and policies. In addition, and based on the revelations of the various investigations, private parties have initiated a class-action lawsuit against Exxon claiming that the company misled investors and the public by failing to disclose the risks to the company’s value as a result of climate change. The claim, under the federal Securities Exchange Act, is based on the value of Exxon’s oil reserves which it owns and which in large part determines the value of the company. 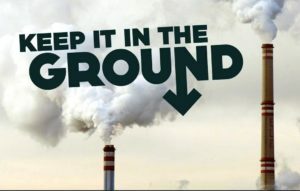 If fossil fuels were widely acknowledged to be responsible for climate change, then it would be likely that governments would ban the extraction of further hydrocarbons. In that case the value of those hydrocarbon reserves would be greatly diminished and remain untouched, or stranded. That would seriously weaken the value of Exxon. No wonder that while Exxon’s own science research had demonstrated the reality of climate change, and the contribution from fossil fuels, it publically claimed that climate change was not a real concern. In response to the publicity surrounding the journalistic investigations in 2015, and the documents on which they relied, Exxon claimed that if people read all the documents they would discover that the reports were biased and inaccurate. As a public relations gambit, Exxon challenged anyone to read all the documents and make up their own minds. Unfortunately for Exxon, Supran and Oreeskes did just that, and in the process confirmed the earlier reports and made more widely available a damning collection of what Exxon said over the years. Supran and Oreskes evaluated 187 Exxon documents, some of which were uncovered as part of the various investigations and some were publically available. The documents were classified as either: Peer-Reviewed (72); Other non-peer-reviewed material (47); Internal documents (32); and, Advertorials in the New York Times (36). The Advertorials selected from the New York Times were related to climate change, already complied and readily accessible. The classification of documents was, in part, based on the audience that had access to the documents, with scientific peer-reviewed materials available to a limited community of scientists, internal documents generally limited to company staff, and Advertorials available to a wide public audience. Each document was analysed to determine Exxon’s position on whether anthropogenic global warming (AGW), or climate change, was: real; human-caused; serious; and solvable. The equivalent opposite categories were: not happening; not us; not serious; too hard. In addition to its position on AGW, the report assessed the Exxon communications on the risks of stranded assets, or fossil fuels that would have to stay in the ground if public opinion shifted to opposition to burning of more fossil fuels. Based on their analyses, Supran and Oreskes found that the Peer-Reviewed documents overwhelmingly acknowledged AGW as real and human caused. The Non-Peer-Reviewed documents predominately acknowledged AGW. The bulk of the Internal documents acknowledged AGW. These categories were of limited distribution. The Advertorials, which were intended to be read by a wide public audience, predominantly raised doubts about AGW. Exxon placed Advertorials in the New York Times every Thursday between 1972 and 2001, including ¼ of all advertorials on the OpEd page, reaching millions of readers. In total, 83% of peer-reviewed and 80% of Internal documents acknowledge AGW as real and human caused, while only 12% of Advertorials acknowledge it and 81% sowed doubt about it. The Supran-Oreskes report confirmed the claims of the investigations about Exxon’s AGW scheme or strategy. But it also added a critical dimension to the claims by providing actual examples of the Exxon documents. The language is specific and concrete, and it clearly demonstrates the disparity between what Exxon knew and what it said to the public. The most widely held theory is that:—The increase [in atmospheric CO2] is due to fossil fuel combustion;—Increasing CO2 concentration will cause a warming of the earth’s surface;—The present trend of fossil fuel consumption will cause dramatic environmental effects before the year 2050.’ (1979). At 11. There is currently no unambiguous scientific evidence that the earth is warming. If the earth is on a warming trend, we’re not likely to detect it before 1995.’ (1982). At 11. ‘The body of statistical evidence…now points towards a discernible human influence on global climate.’ (1996). At 11. Let’s face it: The science of climate change is too uncertain to mandate a plan of action that could plunge economies into turmoil… (1997). At 13. ‘There is unanimous agreement in the scientific community that a temperature increase of this magnitude [(3.0 ± 1.5) °C] would bring about significant changes in the earth’s climate, including rainfall distribution and alterations in the biosphere.’ (1982). At 20. ‘…there are some potentially catastrophic events that must be considered. For example, if the Antarctic ice sheet[,] which is anchored on land should melt, then this could cause a rise in sea level on the order of 5 meters. Such a rise would cause flooding on much of the US East Coast, including the State of Florida and Washington, D.C.’ (1982). At 19. …[T]he indications are that a warmer world would be far more benign than many imagine…[M]oderate warming would reduce mortality rates in the US, so a slightly warmer climate would be more healthful…We are faced with more questions than answers on almost every aspect of this issue, including whether possible changes could be both good and bad.’ (1996). (1996). At 21. ‘If it becomes necessary to limit future CO2 emissions without practical removal/disposal methods, coal and possibly other fossil fuel resources could not be utilized to an appreciable extent.’ (1979). At 27. ‘Without obligations by developing countries, stabilizing at 550 ppm would require a phase out in the use of fossil fuels by the middle of the century in the annex 1 countries. That’s a huge step.’ (2005). At 27. Exxon did not address the issue of stranded assets in its Advertorials, perhaps not wanting to draw any attention to such a notion. The report determined that Exxon had not suppressed nor withheld climate change research, but rather that it misled the public about climate change, pretending and representing that climate change was not a problem, all the time knowing that it was a most serious problem. While Supran and Oreskes use the term “misled” it is equally justified to say that Exxon “distorted” climate change research, or that it “falsified” results of its own climate change research by claiming AGW was in doubt when it knew otherwise. 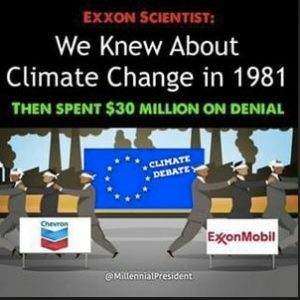 It is also appropriate to characterize what Exxon did as “lying” — from its own research, and that of thousand of others over the years, it knew climate change was real and human caused and created serious risks, yet it paid substantial sums to place ads that said just the opposite. That’s lying. Even assuming we use the stronger, more active verb of “lying,” the question remains: So what? Lying to the public may be sinful, but it is not generally a crime. If it were, many politicians, most especially the current President of the United States, would be in jail. Yet there are circumstances when lying raises questions of legal liability. In Exxon’s case, the valuation of its oil reserves is a critical component of the assets on which the price of its publicaly-traded stock is based. 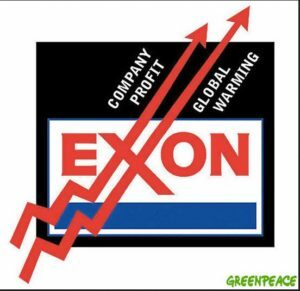 Lying about climate change, and deflecting any attempts to regulate extraction or use of fossil fuels, was driven largely by Exxon’s need to protect its stock value, and its profits for shareholders and management. Austin Yack, “New York Judge Orders ExxonMobil to Produce 40 Years’ Worth of Climate Change Documents,” National Review (31 Oct 2016).